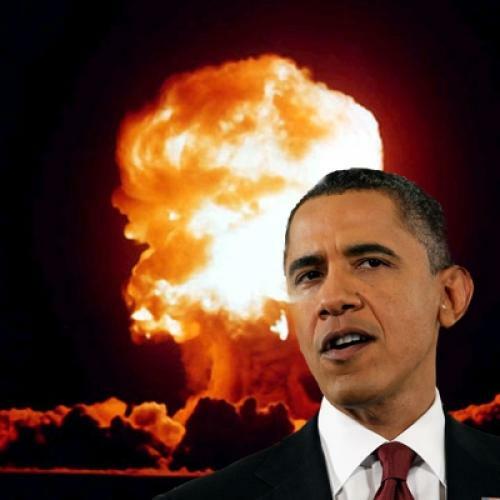 The fate of Obama's nuclear treaty. After Republicans picked up six seats in the Senate earlier this month, it seemed that President Obama’s biggest foreign policy victory to date was in serious trouble. Earlier this year, Obama had negotiated the New START treaty, which would reduce the number of deployed U.S. and Russian nuclear weapons, while enabling each side to monitor the other's arms. The treaty, however, has yet to be approved by the Senate, where it needs 67 votes. And this week, when the chief of staff to Senator Bob Corker—a key vote on the treaty—said that it should not be considered during the lame-duck Congress, and the Republican Policy Committee released a memo urging a similar delay, it started to look like the treaty might be dead. But the agreement is being kept alive by an unlikely savior: conservative Senator Jon Kyl, a steadfast opponent of other nuclear treaties, such as the Comprehensive Test Ban Treaty that President Clinton failed to get through the Senate in 1999. Kyl's position as Republican whip enables him to command enough Senate votes that he can determine whether New START is ratified or not. And bizarrely enough, he seems to want it to go through. Throughout this year, Kyl has made it very clear that he's approaching ratification in the spirit of "The Sopranos": Implicitly threatening to sink the treaty, he demanded $10 billion in new funds for nuclear modernization on top of an initial massive $80 billion appropriation in Obama's 2011 budget proposal; then he demanded that the money be guaranteed over ten years, even though Congress doesn't exactly have the power to pass budgets that tie the hands of future Congresses (but never mind). Kyl’s proposal would pair New START with a huge cash bonanza for programs that would make it easier to maintain and upgrade our nuclear weapons in the future. Eager to bank a major foreign policy victory, the Obama administration has been scrambling to figure out how it can accommodate him. Now, negotiations have come to a head. During the past week, the administration has been in close contact with Kyl to determine whether or not a final deal can be made—which would probably involve a high level of funding in the White House's 2012 budget request and some sort of credible 10-year spending roadmap—and whether to schedule time for a vote on the treaty during the December portion of the lame-duck session. If Kyl were simply planning to kill the treaty, you have to think he would have slammed on the brakes much earlier. On nearly every other issue where Republicans wanted to deny Obama a victory, the GOP leadership simply announced its opposition to a deal upfront and grandstanded while refusing substantive negotiations. On the health care bill, Kyl told reporters that concessions would not win over the GOP; on the stimulus bill, he said Obama would have to "start from scratch"; he called the financial reform bill a recipe for endless bailouts. His politics on these issues were more ideological than transactional. Given Kyl’s apparent passion for securing this funding, it’s no surprise that the White House seems to have decided to threaten the senator. One senior administration official told the Financial Times that "not moving ahead … could shatter the fragile consensus on modernizing the nuclear complex." Presumably that would put at risk not just the extra $10 billion Kyl has been requesting, but possibly the entire $80 billion proposed appropriation. To be sure, there's still a large chance that something will go wrong. Kyl could get buyer's remorse or decide that there's no way to provide him with sufficient funding guarantees. Mitch McConnell could decide that nuclear modernization is less important for the party writ large than denying Obama a major accomplishment. Harry Reid could find that he simply has too many priorities to act on—including the many promises made to constituent groups during his reelection fight—to fit the treaty on the schedule. Any of them could still put off ratification and leave the United States without any nuclear inspectors to keep tabs on Russia's arsenal. Kyl may not be too concerned about that consequence, but he is apparently eager to get his pound of uranium. Barron YoungSmith is a deputy online editor of The New Republic.